NOAA Fisheries released a draft recovery plan today for Elkhorn and Staghorn Corals [Acropora palmata, and A. cervicornis respectively – Ed.]. 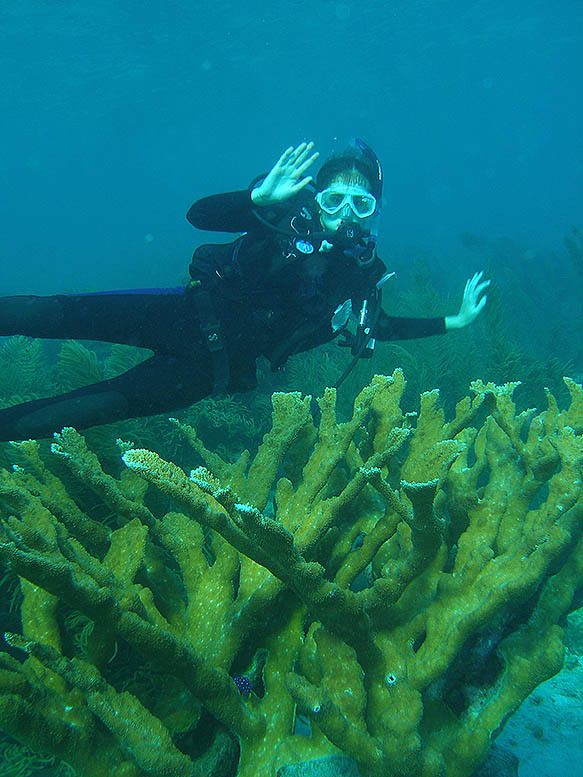 Both types of coral were listed as threatened under the Endangered Species Act (ESA) in 2006. This new draft plan identifies criteria that, when met, would allow the coral species to be removed from the list of endangered and threatened species under the ESA. The recovery plan contains nearly two dozen actions necessary to achieve the plan’s goals. The plan also addresses research and monitoring, ways to reduce threats, and steps to enhance the population by actively outplanting. 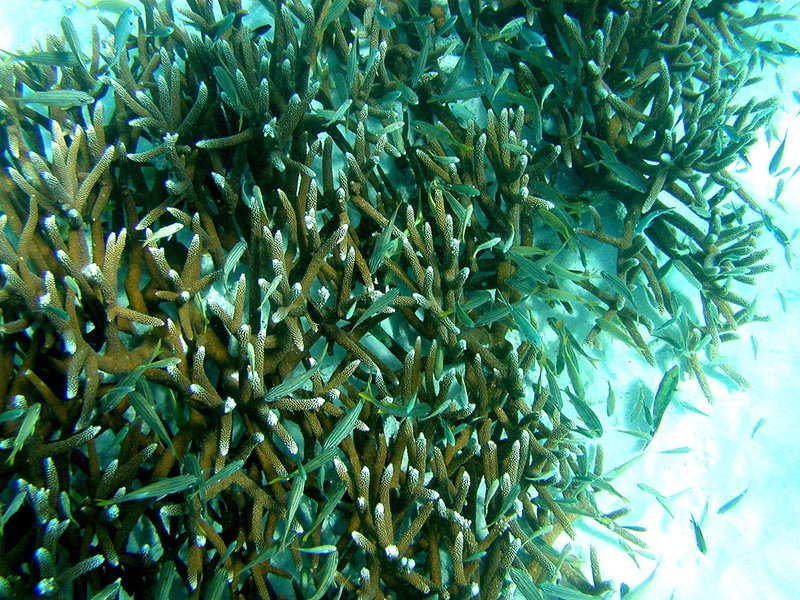 Outplanting is putting corals back on the reef after they have been grown in nurseries. Global threats related to climate change include elevated ocean temperature, disease, and ocean acidification. Some of the local threats to the species include habitat loss, pollution, reduced reproduction, and physical damage. As carbon dioxide increases in the atmosphere, the ocean warms beyond what corals can withstand. This leads to bleaching and an increase in the frequency and severity of disease outbreaks, causing die-offs. Elkhorn and Staghorn corals were once the dominant coral species on Caribbean reefs, but have declined by up to 97% since the 1970’s. The main causes of decline are disease, temperature-induced bleaching, and storms. Coral reefs are critical to the health of marine ecosystems and have measurable economic value to coastal communities around the world. They provide food and shelter for more than 25% of fish in the ocean and up to two million marine species. Corals also provide shoreline protection from damaging effects of major storms and contribute about $483 million annually to the U.S. economy through tourism and recreation. The recovery plan – developed by a team of state, federal, and academic partners – is not regulatory. It is a non-binding guidance document that serves as a roadmap to species recovery, laying out where we need to go and how we get there.